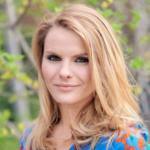 Michele Romanow is an engineer and a serial entrepreneur who started five companies before her 33rdbirthday. A "Dragon" on CBC's Dragons' Den, Michele is the Co-Founder of SnapSaves, Buytopia.ca and Clearbanc. She is ranked on WXN's "100 Most Powerful in Canada" and listed as the only Canadian on Forbes magazine's "Millennial on a Mission" list. Michele is a prolific angel investor and the winner of Angel Investor of the Year award. She co-founded the Canadian Entrepreneurship Initiative with Richard Branson to encourage entrepreneurship. Michele is a director of Shad International, a transformational program that develops the entrepreneurial potential of exceptional Canadian youth. Clearbanc believes that selling equity to buy Facebook and Google ads is a bad deal for startups. It has built an alternative for fast-growing businesses who generate consistent revenue from their marketing spend. Clearbanc offers funding in exchange for a steady revenue share of a business’ earnings until it’s paid back plus a 6% fee. Clearbanc has already invested more than $150 million in 500 companies. 1- The need and opportunity for entrepreneurship as a means of problem solving is growing since our economy and industries are being disrupted at a faster rate than ever. 2- Canadian entrepreneurs and businesses need more financing solutions during their growth and late growth stages to fuel their growth. 3- In order to compete internationally, Canadian companies should have an export-first mentality from the very start. We must also focus on building a recognizable global brand for our products, companies and industries. Policymakers must understand that entrepreneurs need a supportive business ecosystem to thrive. Who better to consult while crafting entrepreneurship policy than experienced entrepreneurs themselves? In one word, entrepreneurship is problem solving. Entrepreneurship is one of the most successful ways to solve major problems in the world. Entrepreneurship means building a sustainable solution that does not necessarily depend on the political cycle. For example, the government has spent trillions of dollars on mitigating and solving environmental challenges. On the other hand, a couple of entrepreneurs have invented electric cars that people love to drive and are now introducing electric trucks, which will probably make one of the biggest impacts. You can be an entrepreneur at any age or stage in life, but it’s important to start now. People can plan ahead all they want, but ultimately, they have to get started. There is never a perfect time, but once entrepreneurs begin, they learn, adapt and grow organically. Great entrepreneurs have defined the course of history, from printing presses to automobiles. But, today, our economy is getting disrupted far faster than ever before. In 1950, the average company would stay on the S&P for about 55 years, which meant it had 55 years before it was disrupted. Today, that number is 22 years. So, an entire industry can now be disrupted more than once in someone’s own career. As the economy changes faster and faster, we will need more entrepreneurs to solve emerging problems. Some of our big, unprecedented and global problems are environmental degradation and data privacy, which I think entrepreneurs will step up to resolve creatively. How can Canada become more entrepreneurial and successful in the global economy? I went to Israel for the first time last year and I was really impressed with its strong entrepreneurship ecosystem. Israelis do not build products for Israel, they build products for the export market from the very beginning. The Canadian market, in some ways, is even more challenging than Israel’s because it includes only 20 million English consumers, with 10 million French consumers constituting the rest. So, Canada actually has two distinct markets and the cost of building every piece of technology such as a website, customer support and email in French is not insignificant. As a result, a lot of companies start out with English-speaking Canadians first because it reduces complexity. Canada is a small country representing only 2% of the global population, so we should have an export-first mentality. Starting out in the USA means that a company has the opportunity to capture 25% to 30% of the global market. But, winning in Canada only wins a company 2% of the global market, which is not strong enough. Successful Canadian companies have either been those that have figured out how to reach global markets or those that are part of state-granted oligopolies. Being a neighbour to the world’s largest or second largest economy, it would be silly for Canada not to export there. Canada and the US have a very peaceful relationship and share a language, culture and work ethic, for the most part. We do business together very successfully and the US should definitely be the starting point for Canadian exports. As a Canadian company, it is just as easy to close a deal with Americans than with Canadians. In fact, sometimes it is easier because Americans move a lot faster than Canadians. So, no company should give up the opportunity to access 10 times the market for the same amount of work. Increasingly, winning in China, India and Europe is going to matter a lot more. The go-to markets really depend on the company’s business model and its ideal customers. As a company, the earlier you export, the more easily you will be able to compete internationally. So, entrepreneurs need an export-first mentality along with networks and capital to grow internationally. We have very few late-stage growth funds, which is a big barrier to growth. We are also not very good at building global brands. Canadian companies that have gone global have mostly been mining and oil and gas companies. But even if our natural resources companies reach $20 billion, $40 billion or $80 billion in value, they still have no consumer-facing brand. The book Why Mexicans Don’t Drink Molson shows that Canada has the most water and wheat resources in the world, which would make it the perfect beer-producing nation on paper. Yet, we have not built an international brand around our beer. In addition, Canadians are not really good at embracing their own products. The American government bought the Blackberry devices before the Canadian government did. I think Canadian entrepreneurs could do a lot better at this. Cirque du Soleil is one example of a great Canadian company with an international consumer brand, but we need more Canadian entrepreneurs to build global brands like it. How would you rate Canada’s entrepreneurship ecosystem? Canada’s entrepreneurship ecosystem is good, but there is definitely room for improvement. I started my career in Canada a decade ago and there was no early stage support like we see today. There were no shared office spaces, no incubators, no accelerators or early stage seed funds. Entrepreneurs were pretty much on their own. The ecosystem has really improved and you can see it in the numbers. Today, there are lots of early stage companies being formed in Canada. We are emerging as a tech hub, with Toronto regularly having more tech job openings than Silicon Valley. However, Canada is not performing well in terms of building global companies – companies that are expanded, diversified, multi-country – which is where we need to focus our resources and talent. For us to build a global economy, we need to have global companies that are paying taxes in Canada and providing employment opportunities to Canadians. In order to improve our entrepreneurship ecosystem, I would urge policymakers to truly recognize that entrepreneurs need a supportive business ecosystem to thrive. I would then ask: Who better to consult while crafting entrepreneurship policy than experienced entrepreneurs themselves? Another recommendation I would put forward from a policy perspective is to implement a tax credit on angel investments as has been successfully done in British Columbia. This makes absolute sense. It also means that investments are made by the best people a start-up or SME can have as backers: ex-entrepreneurs. This is one of the things that drives an ecosystem and community, which are crucial to success, and a key aspect that defined Silicon Valley. This is important to keep in mind from a policy perspective and there is definitely more that we can do from a policy perspective to support the Canadian companies that are scaling and growing. How do you assess Canadian entrepreneurs’ and SMEs’ capital needs? As an entrepreneur myself, I have seen first-hand that entrepreneurs basically have two options to raise money to grow a venture. The first option is taking debt, and early stage debt is very negative because it always requires personal guarantee. So, an entrepreneur is basically putting their house on the line in exchange for capital for their business. Then at the later stages, debt has covenants, warrants, and all sorts of nasty features. On the other side, equity can be good in some scenarios, but entrepreneurs still give up a piece of their company and board seats that they can never get back. Today, 40% of venture capital dollars are put into companies that are buying Facebook or Google Ads with those dollars. This means that entrepreneurs are using the most expensive capital to fuel their growth. So, for Clearbanc, we wanted to create a brand-new asset class that had not been available to entrepreneurs before. We started developing revenue sharing agreements in the tech space. For instance, if we offered $100,000 to the entrepreneur, they would have to pay us a portion of her revenue, whether that is 2% or 5%, until they paid us back $106,000. So, we only charge her a flat 6% fee for our capital. This is really inexpensive and helps entrepreneurs retain full control of their companies. The model has been quite successful and in 2018, we gave entrepreneurs US$143 million in capital. That is larger than most Canadian venture funds, which typically deploy their capital over multiple years. Moreover, we make our offers based on data, not the entrepreneur’s pitch or personal connections. As a result, we have funded 8 times more women than the industry average because we have taken a lot of the bias out of the decision-making process. What are the opportunities and challenges Canadian women entrepreneurs face today? Unlocking women entrepreneurs unlocks a lot of potential for Canada’s future GDP. It was certainly responsible for the last economic boom when women started entering the workforce. Women entrepreneurs do face some unique challenges, but the challenges of being a good entrepreneur are largely the same for men and women. Entrepreneurship is about building a great product and having the support networks and other mentors that can show you how to build global companies. Women generally take less risk in business, so they are far more stable in a lot of ways. Certainly, there has been a vast funding gap between men and women, especially in venture capital. In the US, women only receive between 2% and 3% of every venture capital dollar, and I think Canada probably performs the same. The problem with venture capital in general is that it is based on pattern recognition. Venture capitalists generally look for someone that went to the same school, dresses the same way, and talks about the business in the same way they do. Shifting the venture capital system from personally-based to data driven decision making is important.